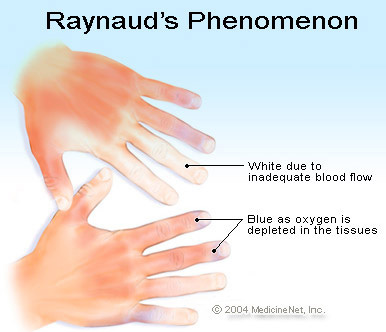 Raynaud’s Syndrome occurs in approximately 15-30% of patients with Sjögren’s. Raynaud’s Syndrome (sometimes called Raynaud’s phenomenon) is defined as repeated episodes of color changes in the fingers and/or toes with exposure to cold temperatures or during episodes of emotional stress. The color changes are due to a spasm of the blood vessels that feed the fingers and toes. The digits typically turn very white, then can take on a bluish color with prolonged exposure to the cold, and finally can turn very red as blood flow resumes. If you have access to water when a flare starts, run warm water over your fingers and toes until skin color returns to normal. Do not smoke — this constricts the blood vessels that feed the hands and feet. Moisturize your hands and feet every day to prevent your skin from cracking. When your hands or feet start to feel cold, wiggle your fingers and toes, move your arms and legs around to get blood flowing, or put your hands under your armpits to warm them up. Talk to your doctor about your symptoms. Several medications can be used to help the vessels stay dilated, including a class of blood pressure medications called calcium channel blockers. Some medicines, such as beta blockers used for high blood pressure, may make Raynaud’s worse. Sjögren's is a systemic disease with its symptoms felt throughout the entire body. While dry skin, dry nails and dry hair are not among the serious manifestations of Sjögren's, they are prevalent in many patients’ lives. Learning to live with Sjögren's is learning what your body's new normal is- including what type of daily skin products and makeup one uses. Recently the Foundation has received a lot of questions about this topic and since some of the best tips the Foundation knows have come from patients, we want to hear from you! 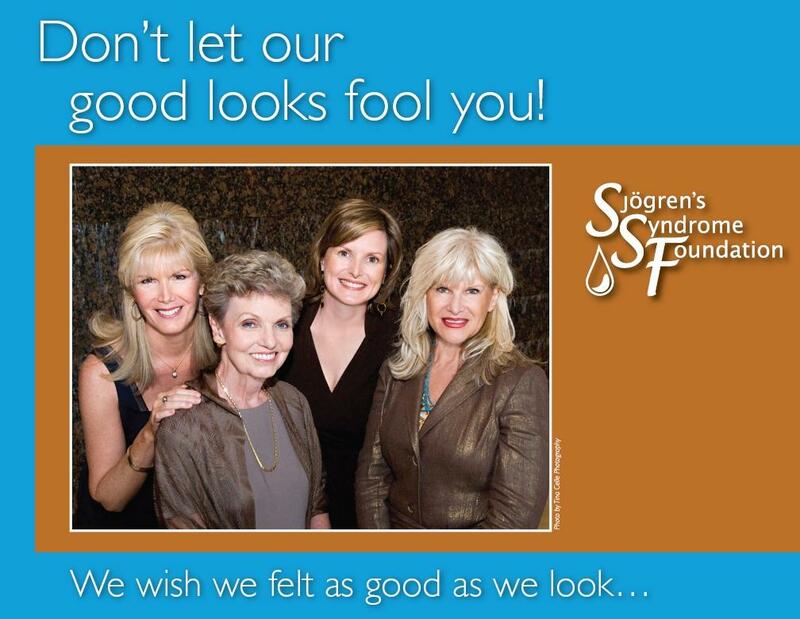 What makeup and skin care products have you found that work well with your Sjögren's? What type of shampoo would you recommend? As a male patient, what aftershave or face moisturizer do you use? Is there a nail polish that works best for you? 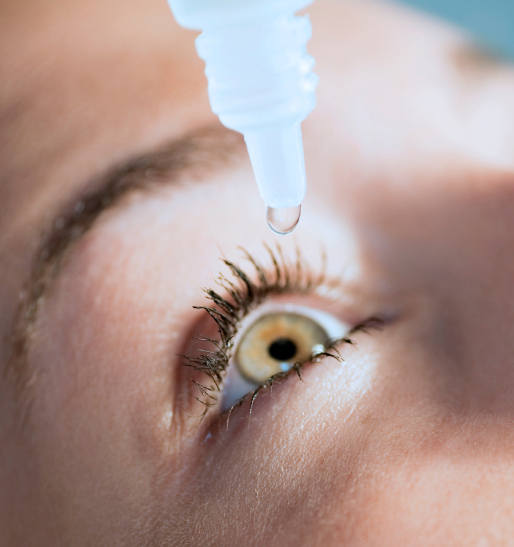 Just as one type of eye drop may work well for one patient but not another, you will need to discover what works best for your body.